Get in the Oktoberfest spirit at the 4th Annual Ybor OktoberFest Pub Crawl tomorrow, Oct. 5, starting at 4 p.m. in the Centro Ybor Courtyard. 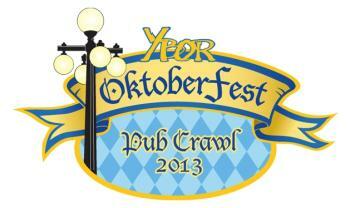 For just $25, enjoy free samples of Oktoberfest or other beers at 20 of Ybor’s patio bars and pubs. Participating venues include Bad Monkey, The Bricks, Ybor City Wine Bar, Carne Chop House and more! Eat, drink and dance along the way! Each stop will be serving German food, playing music, and offering door prizes and drink specials by the Pub Crawl Prize Patrol. The first 400 guests will receive an official Pub Crawl T-shirt. Purchase tickets at www.ybor.org or call 813-241-8838 for more information. Tickets will be available on Saturday at the Centro Ybor courtyard while tickets last!